We have just discovered the soft form of tacos. I believe this is actually the traditional kind, according to the Mexican episode of Food Safari. And they are SO much tastier and fresher than the crunchy kind. Importantly, they are much easier to eat, and more appropriate for little hands. In the photo you will see minced beef, but I’m going to post my oven slow cooked beef recipe. Of course this is also perfect for an electric slow cooker! Heat oven to 180 deg Celsius. 1. In a casserole dish, brown the whole piece of casserole steak with oil for about 3 minutes on both sides on medium-high heat. Remove from pan. 2. Fry onion and garlic in the pan until just brown. 3. Add paprika, cumin and coriander and fry until fragrant. 4. Add tomatoes, tomato paste, cornflour, beef stock and the piece of steak. Bring to the boil. 5. Place a lid over the casserole dish and put in the oven for 2 – 2.5 hours or until the meat can be pulled apart easily. 6. Remove from oven and let sit for 30 mins. 7. With 2 forks, shred the beef steak and stir through the sauce. 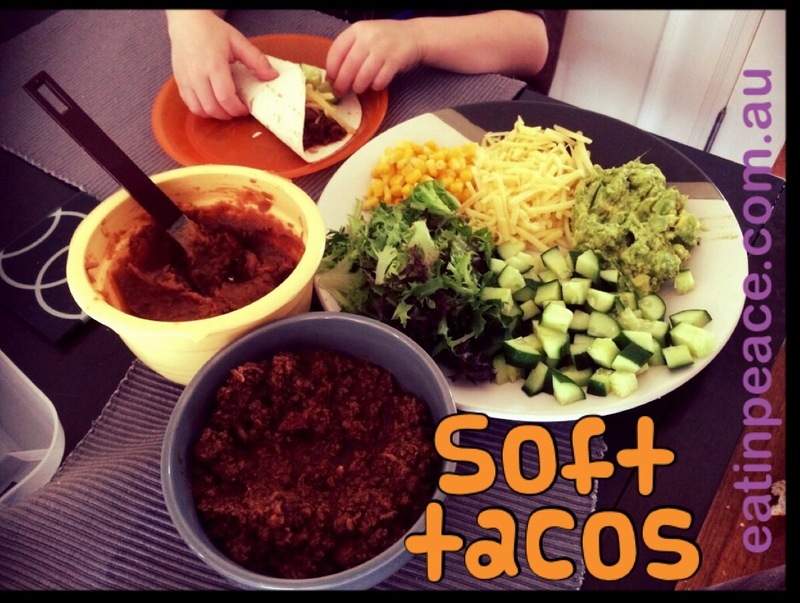 Serve the meat in a soft taco with your favourite fillings. See above for ideas! 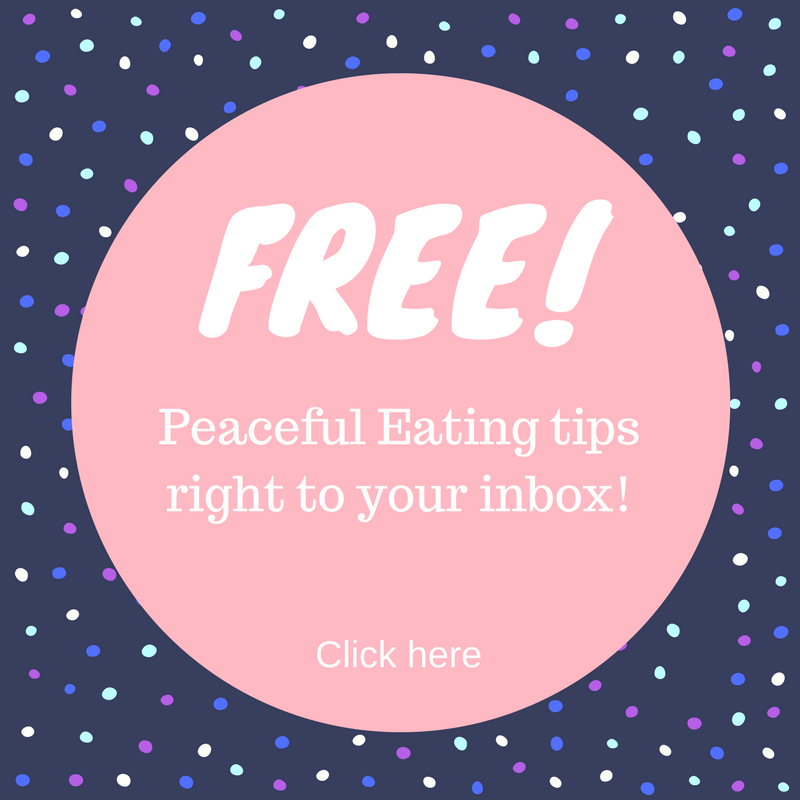 This entry was posted in Recipes on January 19, 2015 by eatinpeacenutritionist.